The TokBox-Slack integration offers an easy way for you to launch a customized live video experience on Slack for end users, without ever having to leave their workspace. While the TokBox app offers a default live video meeting web experience, it is a simple starting point. You can easily implement your own branded and full-featured video conferencing application using the OpenTok SDKs. With one command, our new slack integration provides users with a seamless way to launch a video session. To get started, you will need to sign up for a TokBox account. (Need help getting started? Try our fast track, here.) 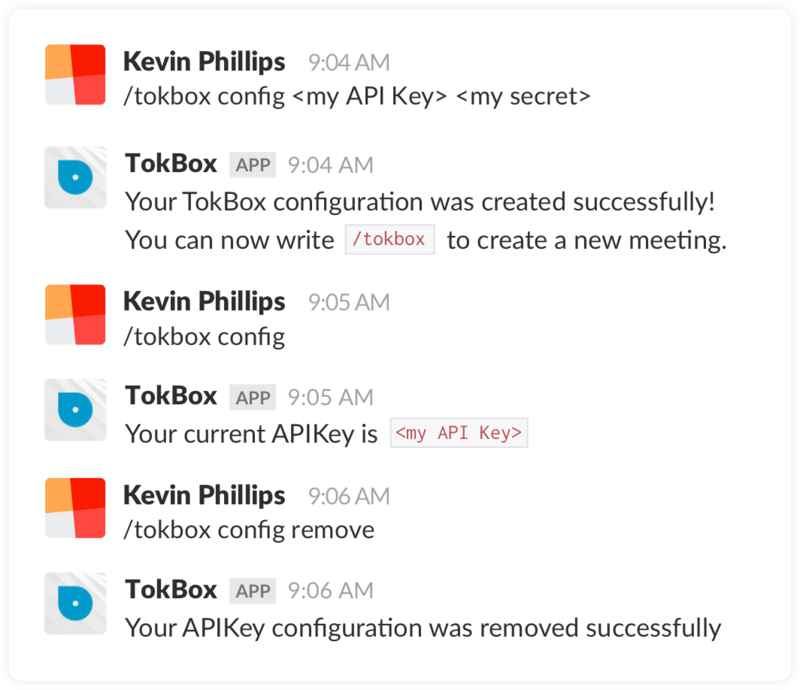 Once this is done, you can configure TokBox and create meetings with a few simple commands. Set the OpenTok Project API key and secret. If the workspace already has the app configured, it will be overwritten with new credentials. Display the current Project API key. The response is visible only for the user who types the command. Create a new meeting. The meeting link will be posted in the channel where the user types the command. Remove the current TokBox Project API Key and secret. And now you’re ready to elevate collaboration with customized live video meetings, all without ever leaving your Slack workspace. Click here to add Slack. Click here to visit our developer center and receive your free API key.